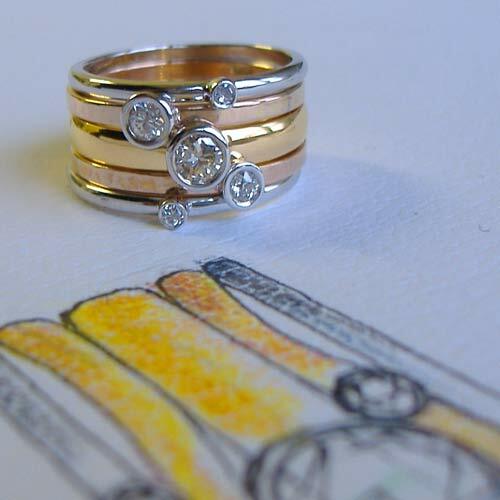 The design brief for this piece was completely open, what became apparent through the initial consultation is that Janet is an extremely hands on person, and whatever I designed would probably have to withstand the rigours of her allotment. The final design was robust enough for this test, and also reflected Janet’s strong character, and intense clarity of thinking. 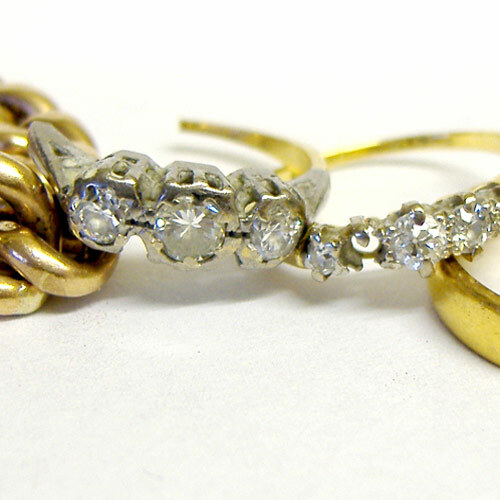 This multi-stacker ring design may look simple, however great care was taken to retain the sentimental content that the original pieces had held. 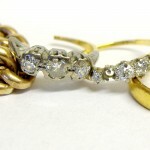 Janet wanted to be able to identify the original stones and gold, and yet still have a totally new piece of jewellery.